Qualified both in Western Medicine, Acupuncture and Traditional Chinese Medicine Dr Zhang has over 30 years’ experience in medicine, with a major interest in Fertility/IVF, ante-natal and post-natal care, period, menopause, and other women’s health problems. Dr Zhang obtained her first degree in medicine (both Western Medicine and Acupuncture/Traditional Chinese Medicine(TCM) in 1985 in China. She was awarded the degree of MD in Human Reproductive Medicine in 1991. She then commenced PhD studies and was awarded her Ph.D. degree in Gynaecological Oncology in 1996 at Beijing Medical University. Dr Zhang has a longstanding interest in an integrated approach to women’s wellbeing and successfully integrated Acupuncture/Traditional Chinese Medicine (TCM) therapy into her clinical practice while she was working in China. The dual approach (drawing the best from both Western Medicine and Traditional Chinese Medicine) gives her a unique insight into both schools of thought and choices of treatment. She worked for seven years in the Department of Obstetrics and Gynaecology at St. George’s Hospital, London. 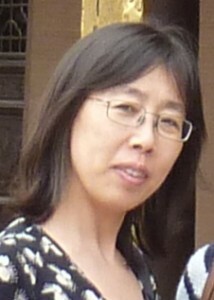 Although working within the NHS was interesting there was no opportunity to make use of her Acupuncture/Traditional Chinese Medicine (TCM) skills, which she often felt were appropriate to her patients’ conditions, so she decided to practice Acupuncture/Traditional Chinese Medicine(TCM) in 2003 in Harley Street and later Clapham Common, London and Wallington, Surrey. Dr Zhang is a Fellow of the Royal Society of Medicine, a member of British Fertility Society and a member of Association of Traditional Chinese Medicine and Acupuncture UK (ATCM).